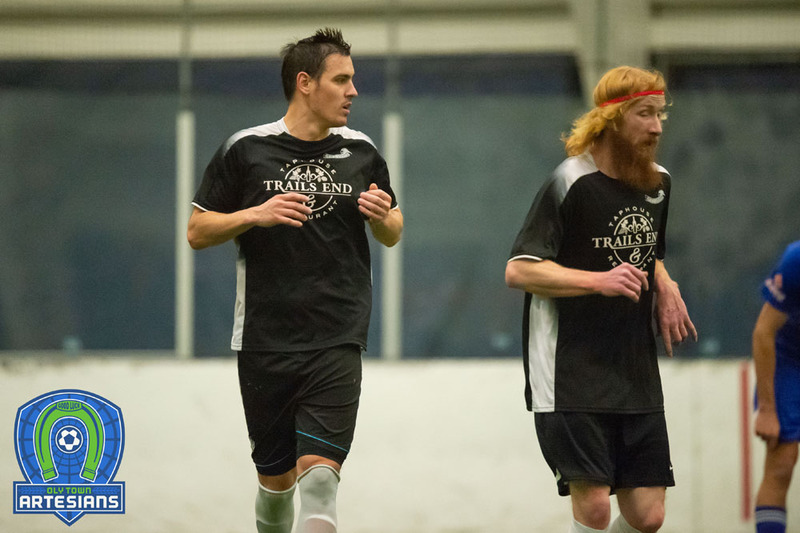 OLYMPIA, Wash. – With injuries building up and the holidays closing in, the Oly Town FC was missing a good chunk of players on Saturday night. 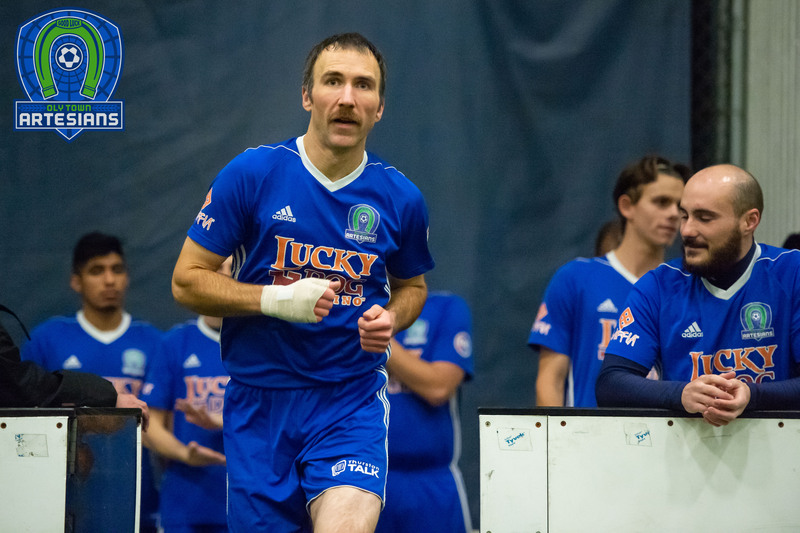 But Matt Stalnik and Tonbra Akpobodor each scored twice and goalkeeper JJ Olson made 27 saves to lead the Artesians to a short handed 7-5 victory over the second place Tacoma Stars Reserves at The Pavilion at Evergreen. 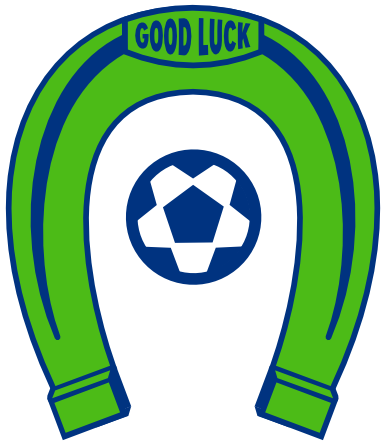 It was the first win of the season for Oly, who were outscored by 21 goals in their first three games of the season. Micah Wenzel got the Stars Reserves going early, scoring at the 14:36 mark of the first quarter, the third time this season that Oly Town allowed a goal in the first minute of the game. But Akpobodor tied the game up 1-1 finishing a pass from Jamie Barnwell three minutes later. Wenzel added his second of the game and Nate Ford scored the first of his three goals to put Tacoma up 3-1 early in the second quarter. But the Artesians scored the next four goals to take a 5-3 lead early in the third quarter. Christian Segovia started the scoring with his fourth goal of the season and Akpobodor and Stalnik each collected goals in the second quarter with Stalnik picking up his second of the game just 29 seconds into the second half. Nate Ford made it 5-4 moments after coming out of the penalty box after the Stars Reserves killed a power play that Ford earned with a sliding penalty. Gabriele Zaccagnini scored a power play goal, his fifth goal of the season, to give the Artesians a 6-4 lead with 1:59 left in the third. It was the third blue card of the third quarter issued to Tacoma and it finally came back to haunt them. Ford got his hat trick with 8:46 left and cut the Oly lead to one, but Barnwell scored his first goal of the game and season to give the Artesians some insurance, and stalled and held on despite an extra attacker for Tacoma over the final two minutes of the game to take the 7-5 upset victory. It was a stalwart defensive effort by an Artesians squad that barely ran two lines for most of the game, with Brett Stallworth, Kodey Eley and Josh Dube putting in a strong effort on the back line in front of Olson. 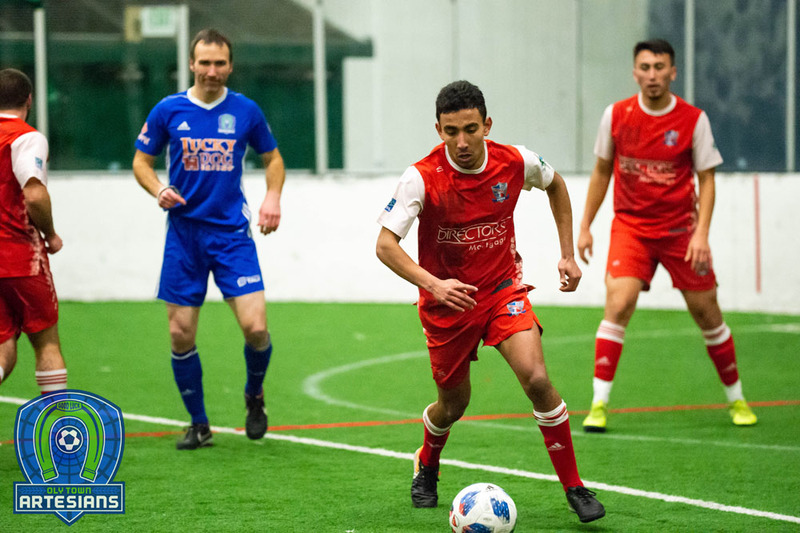 Oly now takes a well deserved holiday break and will return to action on Saturday, January 6th at The Pavilion against first place and high powered Bellingham United.